Google AdWords is not for the meek at heart. 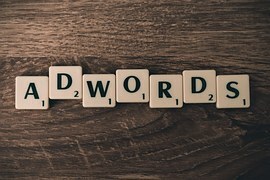 Whether you are new to the platform or an experienced user, Google AdWords is an excellent medium for raising brand awareness and generating new customers. According to Webvisible’s research, 72% of consumers prefer to find information on local merchants through search engines like Google. While every website wants a heavy stream of organic traffic, paid advertising is an immediate technique to get the ball moving. Configuring a laser-focused AdWords PPC campaign requires strong call-to-action, well-crafted banners or text ads, all tied to an effective landing page. Sounds tough? Not to worry, whether you just signed up for Google AdWords or are looking to fine tune, try using these tips to launch your PPC campaign. When it comes to effective AdWords usage, the best place to start is speaking with the hard-working people who make up the business. Since you’re marketing your brand, who better to evaluate your company than loyal employees? Your employees know the ins- and outs- of your brand, so they can provide valuable insight or feedback that outsiders may want to know when reviewing your company. This type of insight can provide managers with an idea of how people feel about your brand, mission statement, values and products, and any other factors that create the unique culture of the company. This should include speaking with various departments including sales, business development, human resources, IT, management, etc. Learn how the business runs and see what issues and triumphs are had at each level. A secondary facet of this involves understanding the industry as a whole. Gather some information on the marketing and advertising efforts of like-minded businesses and competitors to analyze threats and opportunities, and develop a deeper knowledge of industry buzzwords. Keeping up with the industry lingo helps to understand what consumers are searching for on the web. Instead of being broad, be bold and understand geographic factors in the audience of the product. For example, urban areas have a higher tendency for people to use public transportation or applications like Uber and Lyft. If the product or service involves car parts, vehicle accessories, etc., then investing heavily into a marketing location that is urban may be less effective. Using geographic settings can help focus advertising in areas that are most relevant or have room to grow into a strong market, rather than industry dead zones. Language limitations can restrict the size of a business’ ad market. Users are typically limited to seeing their primary language in advertisements. For this reason, converting advertisement campaigns and AdWords into other languages might open your market to people who are in need of your services. Bring the rest of the world to your page, but be sure to consult an actual translator ~ Internet translators are not your best option. You Completed Your Research. What Next? The adage “If it ain’t broke, don’t fix it” does not apply here. Google AdWords requires frequent tweaks. If your campaign is not working as well as you want, do not fear, as even an experienced campaign manager is actively finding ways to improve a campaign. Doing the research on strong AdWords is a good start, but it is the continued day-to-day and week-to-week tweaks that create the best advertising campaign. Need help building your first PPC campaign through Google AdWords? Premiere Creative has extensive experience in setting up campaigns for clients, and we can help you too. Call us today to learn how we can help launch your brand to the top of Google.